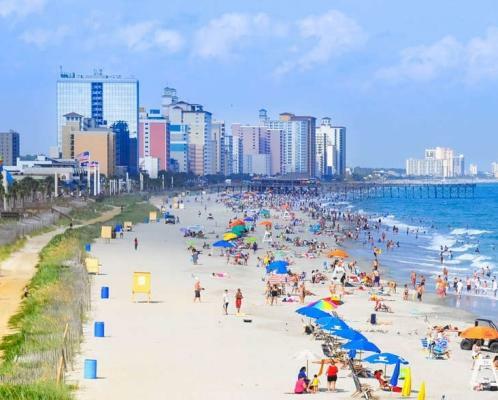 The Myrtle Beach Area, known locally as the “Grand Strand,” suffered only minimal damage from hurricane Florence. While our community is grateful that the storm did not wreak much havoc on our beautiful 60-mile shoreline, we are well aware that our neighbors were significantly impacted by Florence and the subsequent flooding. In the spirit of giving to those in need, many Grand Strand businesses are extending special discounts and offers to people who have been displaced by this terrible storm. People impacted from the flooding in South Carolina and North Carolina and need refuge can find it in the Myrtle Beach area. This includes people evacuating from flooded areas in Horry and Georgetown counties and surrounding areas. Below is a list of special offers from hotels that would be happy to accommodate evacuees in this time of need. Because even displaced travelers need food and entertainment, there are also some restaurants and attractions reaching out to provide offers. 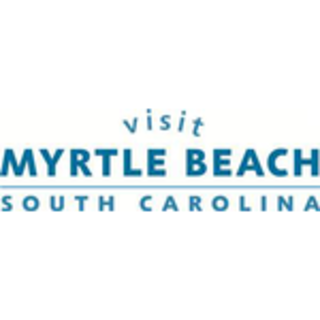 Visit Myrtle Beach will continue to update these offers as received from the hospitality industry. Offers can be submitted to hurricane@visitmyrtlebeach.com. $69 for studios, $79 for one and $89 for two bedrooms. This offer locks in rates for Rooms at $39, Suites for $49 and 1-4 Bedrooms Condos for $99 per night plus tax. These special rates will be available now – October 31st, 2018 to all guests with proof of a valid ID indicating North Carolina and South Carolina residents in flood or Hurricane Florence affected zones. To book this offer, please call our reservations team at 855-814-6624. A complete list of resorts included in this special rate include: Bay View Resort, The Breakers Resort, Caribbean Resort & Villas, Compass Cove Resort, Dayton House Resort, The Litchfield Company Vacation Rentals, Long Bay Resort, Ocean Reef Resort, Paradise Resort, The Strand, Atlantica Resort, Barefoot Resort, Beach Vacations, Myrtlewood Villas, and River Oaks Resort, North Beach Plantation will also be offering discounted rates but will vary. Rooms starting at $89 plus tax through Thursday, Sept. 20 (higher rates on Friday and Saturday). All room types and sizes available, and we will work with guests on price. Government rate will be honored. Please contact Melissa Salem at 843-424-6062 or Melissa.salem@hilton.com for reservations and details. 1601 N. Ocean Blvd., Surfside Beach, SC (843) 238-5601. Extending a discounted daily rate of $24 plus tax to North and South Carolina residents displaced by Hurricane Florence. The rate includes all additional fees such as extra car and boat and is valid through Oct. 30, 2018, with valid ID. To book, call 877-525-3966 or 843-238-5161. Rooms open starting at 59.00 per night. Room Price: $49 per night. Properties are offering snowbird rates. Call Raul Contreras M-F 9 a.m. - 5 p.m. for any inquiries. Here is a link to our properties across the beach, they are ranging around 750-1500 per month based on the size/occupancy count. No service fee and 5 percent off all garage door repairs or new garage doors. Sept. 24-Sept. 28 Out of School Special during Open Jump only: $5 Off 120 Minutes of Jump Time! Cannot be combined with other discounts or offers. Valid 9/24/18 thru 9/28/18 from 11 a.m.-8 p.m. Available online with code SEPT2818 or in park. Rockin&apos; Socks are required and not included with this offer. They are reusable so bring them to the park for future visits. 1313 Celebrity Circle, Myrtle Beach, (843) 626-9962$10 All Access Admission for all NC & SC Residents! Offer Valid Now thru Sep. 30, 2018. *Not valid with any other offers or on previously purchased tickets. Must present valid NC/SC ID at the box office. Would You Like to Help with Recovery Efforts? Here are a few other ways people can assist with storm recovery efforts. Contribute to the Help the Grand Strand Disaster Recovery Fund at HelpTheGrandStrand.com. Support Horry County Disaster Relief and Waccamaw VOAD (Volunteer Organizations Active in Disaster at DisasterHelp.me. Show your #CAREolinas spirit by supporting the NC or SC Relief Funds at CAREolinas.com. Help your neighbors by contributing to the Help The Grand Strand Disaster Recovery Fund.